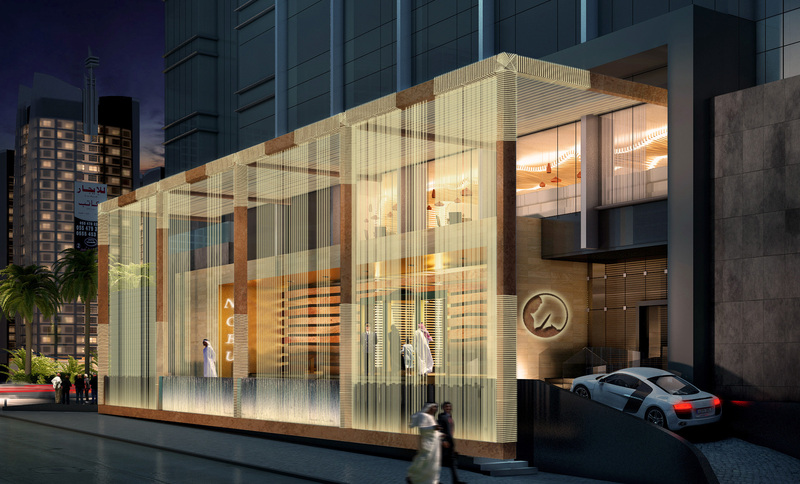 Soaring and sparkling, sporting clean lines and a casual elegance, Nobu Hotel Riyadh is an urban oasis in the heart of downtown Riyadh – the very first five-star luxury boutique hotel in the Kingdom of Saudi Arabia. A modern masterpiece, Nobu Hotel Riyadh is a 23-story glass paneled skyscraper rising proudly above the storied skyline, elegantly styled with distinctive design touches that reflect Nobu’s Japanese heritage. Captivating from the very first glimpse, its arabesque architecture includes innovative printed, layered glass; a highly reflective façade that balances privacy and exposure, beautifully addressing its striking surroundings with a powerful synthesis of color, reflection and light. Design led; the state-of-the-art technology, craftsmanship and intention are beautifully mingled. Embodying the best of the brand’s effortless style and laid-back luxury, Nobu Hotel Riyadh offers 134 stylish guestrooms and suites, superb dining, a stunning spa, a full-service fitness facility, an exclusive executive club lounge, well-equipped meeting rooms, two glittering ballrooms along with the Kingdom’s very first Nobu Restaurant. 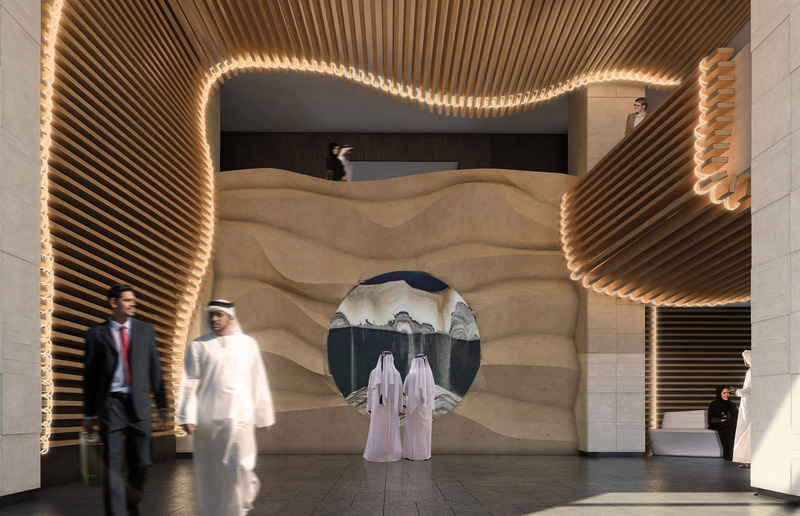 All of this adds up to a desert sanctuary that artfully blends the vibrant energy of Riyadh with the understated luxury that Nobu personifies. 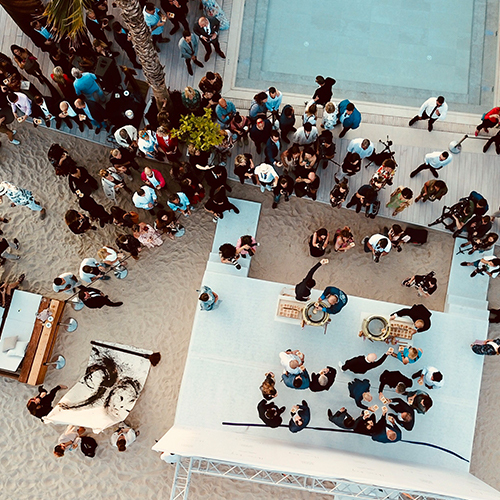 The hotel will make its debut late 2019. 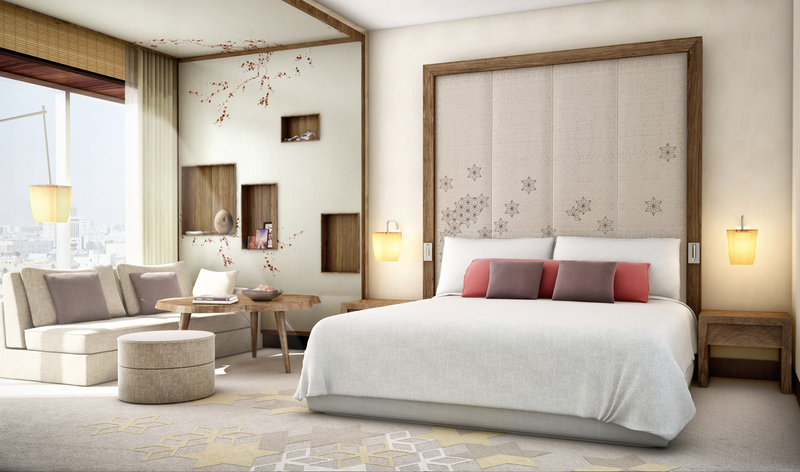 Nobu Hotel Riyadh’s 134 spacious guest rooms and suites are artfully conceived and designed by the globally acclaimed Rockwell Group. 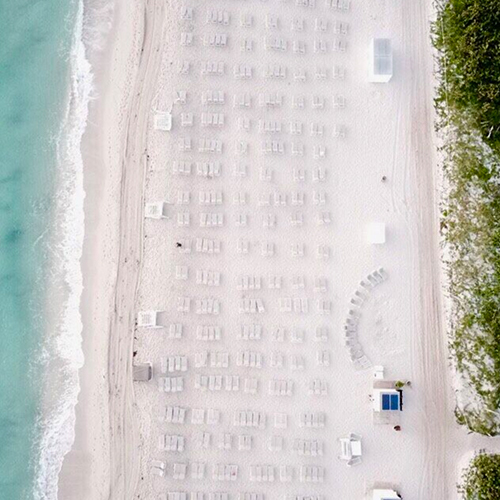 Custom furnished with subtle Japanese and regional inﬂuences, the luxuriously appointed rooms are visually stunning, but also state of the art, highly functional, and thoughtfully equipped. 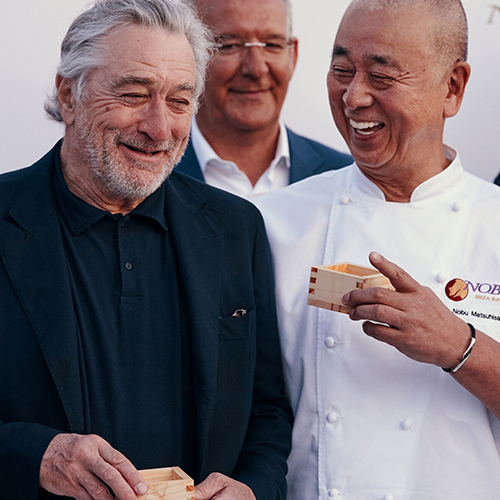 Likewise, Rockwell has elevated Nobu’s public areas to create distinctive, stylish and pragmatic spaces, each offering their own characteristic design identity united by a common theme of contemporary, unscripted elegance. 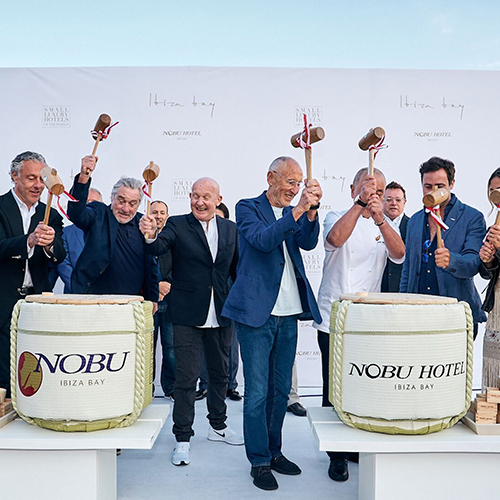 Join the Nobu Inner Circle and be the first to receive exclusive news, updates, event invitations and offers. If you prefer to email us directly to subscribe, we welcome that as well. 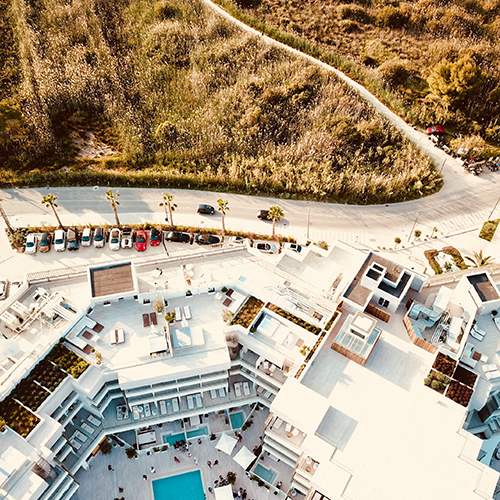 Located on the second floor, and remarkable from the very moment you approach, Nobu Restaurant lies at the end of a winding wooden path framed by two large Japanese Gardens. 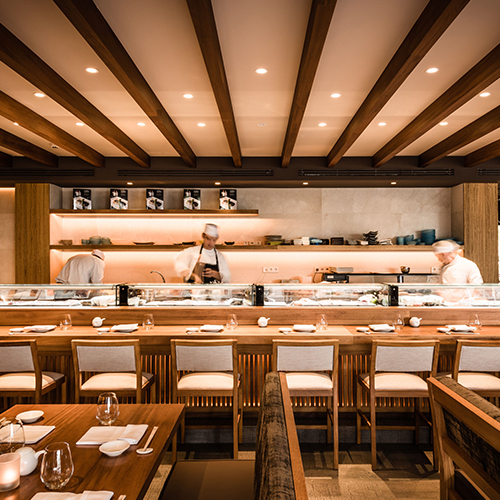 A large fish scale wooden structure is the main design feature at Nobu Restaurant Riyadh, and beautifully wraps itself around and encloses the space, creating intimate areas for group dining, and opens up on the window façade to allow entrée into the spacious dining room. Long banquettes and several group seating areas resplendent in colorful textiles, combined with local stones in warm colors and wood, along with textured wall ﬁnishes – all contribute to the unique ambiance in which guests will savor some of the world’s finest cuisine. Live edge furniture pieces scattered along the space bring in a Japanese craftsmanship touch to the overall concept and design. Six well-appointed meeting rooms, with a residential look and feel, with magnificent views over the city from the 16th floor. They are fully equipped with state-of-the-art video conferencing equipment, providing the perfect setting for corporate meetings or business gatherings. 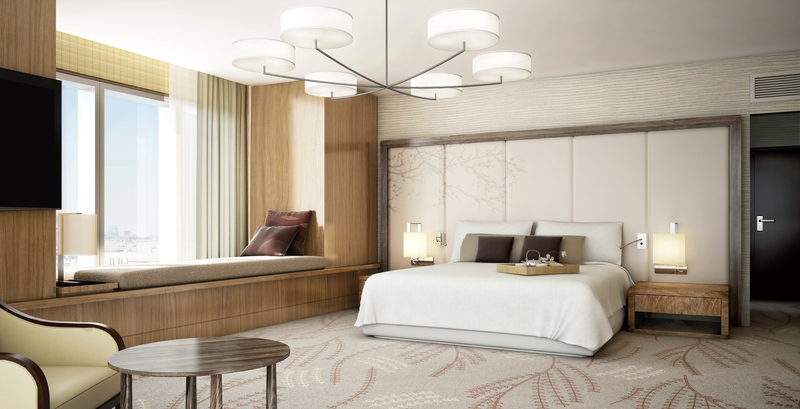 The textured soft lit wood walls, organic patterned carpets, warm colors and fabrics. 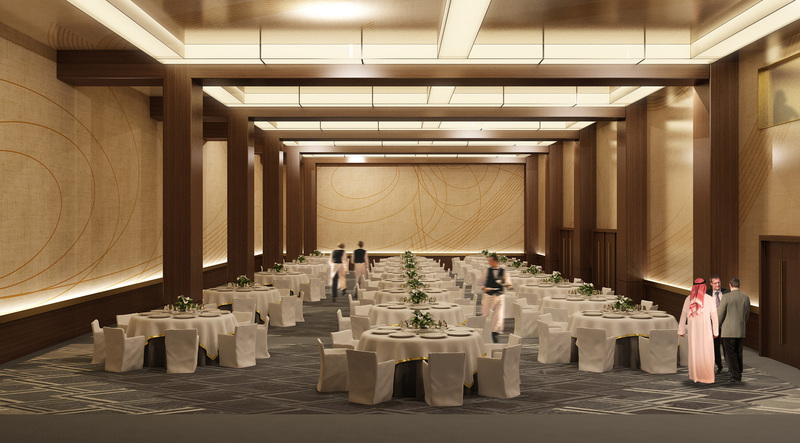 Our Ballrooms are beautifully crafted to host large and notable gatherings; these generous spaces feature double height ceilings that can easily accommodate up to 300 guests per room. An independent access is available. Stone floors, warm-textured walls, contemporary lantern-type lamps and luxurious rugs with soft colors and geometric patterns create intimate areas within the common space. 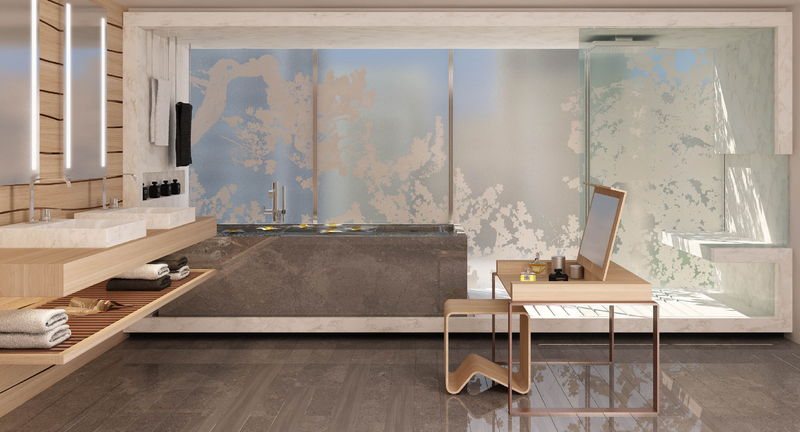 Minimalist design and ﬁnishes oﬀer the opportunity to customize based on your needs.